If you want to deliver green shades ornaments at home in the form of plants, you can try to display a “mini park” at home. This small park is often called teranium. To make it, you just need a glass container large enough. 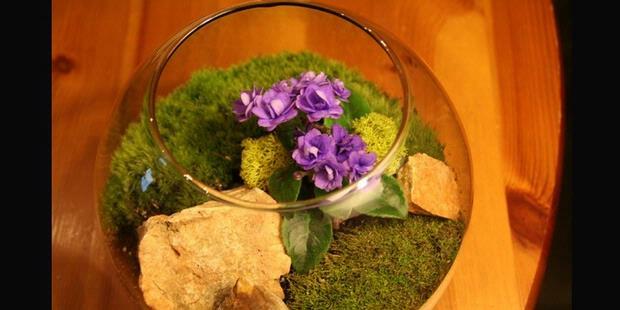 In addition, use an aquarium to make your “ecosystem” terrarium. You also need a decorative rock or stone, filter coffee, sphagnum moss, growing media (soil suitable for planting cactus as growing media), as well as mini-sized plants or moss. When choosing glass containers, make sure the container is able to let the sun go into it. You also need to find a container with a height of at least 15 cm. First of all, put the rocks with a height of about 2.5 cm from the bottom of the container. Then, add a thin layer of charcoal on top of the rocks. Charcoal serves as a filter, while the rocks will be “on duty” as a drain. To avoid soil mixed with rocks, you need some sort of bulkhead. You can use a coffee filter to do the “job”. After that, put on the soil with a thickness of about 7.5 cm. Use paper as a funnel in order not to contaminate ground glass containers. Now you come to the best part, which is added to the container glass plant. Be thoughtful in choosing plants. You should always remember that your plant choices will depend on the container. It is better, if you choose a closed container, you choose plants that like moisture. With the cover closed, you do not have to bother. 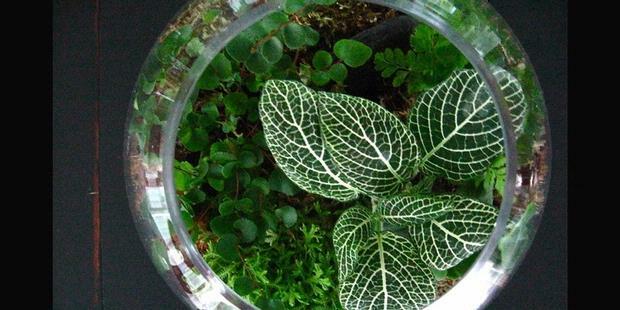 Over time, plants in a closed container will form its own ecosystem. You only need to water it with a little water if the soil was dry inside. Stop watering if you’ve seen any water to the bottom teranium. A little note, terrarium glass containers will dewy after watering. Relax, it’s a sign that your plants are still alive. Open for a few hours to eliminate. Pick strawberry begonias, ferns and baby’s tears. These plants are not the problem be located and closed minimal sunlight. On the other hand, if you prefer teranium open, you have more choices. However, generally this type teranium will include succulent plants. For small plants grow, make a small hole in the ground, then enter your plants. Note, make sure your plant leaves do not touch the glass. The leaves will rot if it gets touches to the glass.